The Commonwealth government announced plans on the weekend to legalise growing cannabis for medicinal and research purposes in Australia. 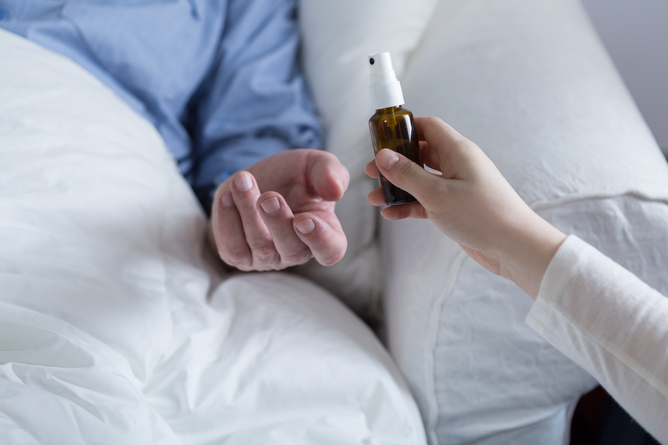 The news follows the Victorian government’s announcement earlier this month that it will legalise access to medicinal cannabis products for patients with severe symptoms from 2017. Meanwhile, the New South Wales government will provide up to $A9 million to support cannabis clinical trials. It also launched the Terminal Illness Cannabis Scheme to allow people medically certified as terminally ill and their carers to register to use cannabis for therapeutic purposes. But Australia is a signatory to three international drug control agreements, including the Single Convention on Narcotic Drugs 1961, which limit narcotic drug production, trade and use to medical and scientific purposes. To legalise cannabis cultivation, the Commonwealth must be able to keep track of production and report to the International Narcotics Control Board. Establishing what the federal health minister, Sussan Ley, calls “a safe, legal and sustainable” framework for regulating the supply of medical cannabis from the farm to the pharmacy will require co-operation between the Commonwealth, states and territories. Cannabis and its products are regulated under various federal and state laws. But the states don’t have legal authority to set stand-alone rules for the cultivation of cannabis and production of medicinal products. The recent Victorian Law Reform Commission’s report on medical cannabis recommended Victoria collaborate with the Commonwealth as this is the only practical approach to legalising medical access to the drug. Several Commonwealth laws apply to cannabis. The Narcotics Drugs Act 1967 regulates the manufacture of narcotic products, including cannabis. The Therapeutic Goods Act 1989 forms a national system for regulating medicines. Products listed on the Australian Register of Therapeutic Goods can be sold in Australia. And the Therapeutic Goods Administration (TGA) reviews the efficacy, safety and quality of a product before it is registered. One cannabis-based drug, Sativex® (nabiximols), is currently registered for use by people with multiple sclerosis to help control muscle spasticity. The drug is not covered by the Pharmaceutical Benefits Scheme so it is costly and not readily available. New South Wales allows people medically certified as terminally ill to register to use cannabis for therapeutic purposes. Federal customs laws regulate the import of cannabis into Australia, for instance, to be used in clinical trials. International sources of the drug for medical purposes are very limited, however, which is why a domestic supply is preferred. The Therapeutic Goods Act also sets a framework for drugs that states and territories adopt in their laws. Cannabis is a “prohibited poison” unless used for medicine or research. Commonwealth, state and territory laws create offences for growing, possessing and selling cannabis. The severity of the penalty depends on the seriousness of the offence. A person found in possession of a small quantity of the drug for personal use, for instance, may receive a warning or fine. Under the NSW Terminal Illness Cannabis Scheme, police officers have discretion not to charge people authorised to possess and use cannabis to relieve their symptoms. Such an approach is only a partial solution, though. 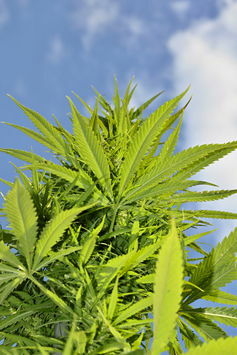 Legal changes, such as the ones under discussion, are needed to support the production and supply of safe, quality cannabis crops and products. Otherwise, people seeking the drug to help manage medical symptoms may buy it from illicit sources. At the end of last year, the Regulator of Medicinal Cannabis Bill 2014 was referred to a Senate committee. The committee released its final report and recommendations in August. The bill proposes a national regulatory body to set up a system to license people to grow cannabis for medical uses, manufacture medicinal cannabis products and supply regulated medicinal products to authorised patients. The Regulator would identify where cannabis plants would be grown and issue licences for authorised cultivators. Doing so would help Australia meet its international obligations under the Single Convention on Narcotic Drugs. States and territories would enter an agreement with the Commonwealth to participate in the scheme. The Regulator would identify where cannabis plants would be grown and issue licences for authorised cultivators. Cultivation under a national scheme would provide a source of raw materials needed to manufacture therapeutic cannabis products that meet quality, safety and dosage standards. The bill also proposes a register for medicinal cannabis products that meet standards set by the law. This system would be separate from the Therapeutic Goods Act. But pharmaceutical companies could still choose to apply to the TGA to sell cannabis-based therapeutic products. The regulator would also establish an authorised patients and carers scheme to allow medicinal cannabis use. Doctors would provide medical supervision for patients using regulated medicinal cannabis products. The proposed Regulator of Medicinal Cannabis Bill will likely be put to Parliament in November. Trials a step forward for medicinal cannabis but what comes next?